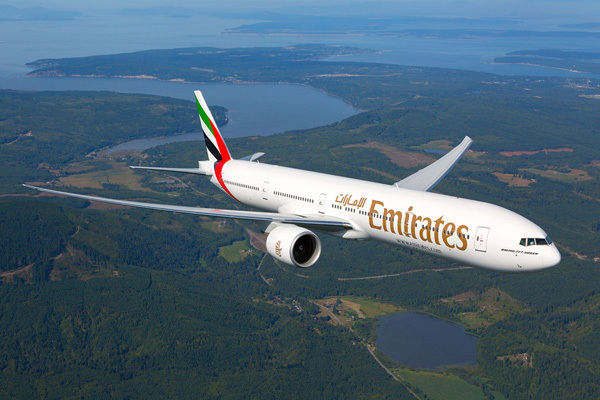 Emirates is offering special early bird fares for UAE travellers to destinations within its global network. Travellers who book in advance can enjoy special fares starting today until April 30 and applies to select travel periods. Economy Class passengers can enjoy fares to the Middle East starting from Dh795 ($216.4), to Europe starting at Dh2,135 ($581.2), to West Asia and Indian Ocean starting at Dh945 ($257.2), and to the Far East and Australasia starting at Dh2,035 ($554). Business Class passengers can enjoy fares to the Middle East starting from Dh3,155 ($858.9), to Europe starting at Dh9,395 ($2,557.8), to West Asia & Indian Ocean starting at Dh2,835 ($771.8), and to the Far East and Australasia starting at Dh8,895 ($2,421.7). Emirates passengers travelling in all classes will benefit from a generous baggage allowance of 30kg in Economy Class and 40kg in Business Class. Passengers on the Emirates flight will enjoy the airline’s award-winning in-flight entertainment system with up to 3,500 channels and up to 20MB complimentary onboard wi-fi, as well as regionally inspired meals onboard prepared by award-winning chefs.